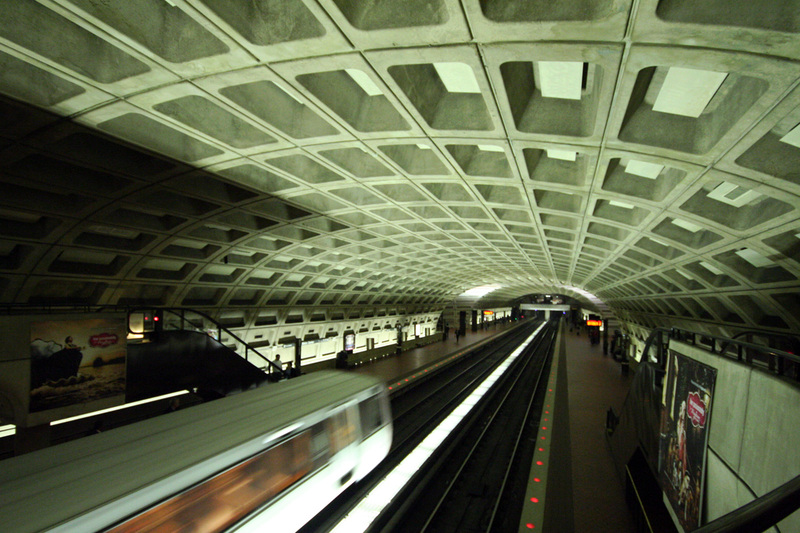 May 1, 2009 | By the time I arrived at Metro Center, I was exhausted. I had a rough journey that morning, involving 2 bus rides and a subway ride to arrive in D.C. from Lansdowne, VA. Oh yea, and I threw up at the Dulles Airport women’s bathroom…! I had a couple of drinks the night before and was feeling fine, but I suppose the alcohol, lack of sleep, and bumpy bus ride was just a bad combo. For the record, I CHOSE to throw up– I didn’t want to have to deal with nausea on the bus ride to New York City. So I gave up my breakfast and was on my way! Once I arrived to the Metro Center, I took a moment to stop and appreciate the beauty of it amidst the bustling masses merely going through their daily routines. After snapping a few shots in the station, I walked to yet another bus stop and patiently awaited the last stretch of my journey. Posted in travel, Washington D.C. Tagged with Metro Center, photography, Washington D.C.